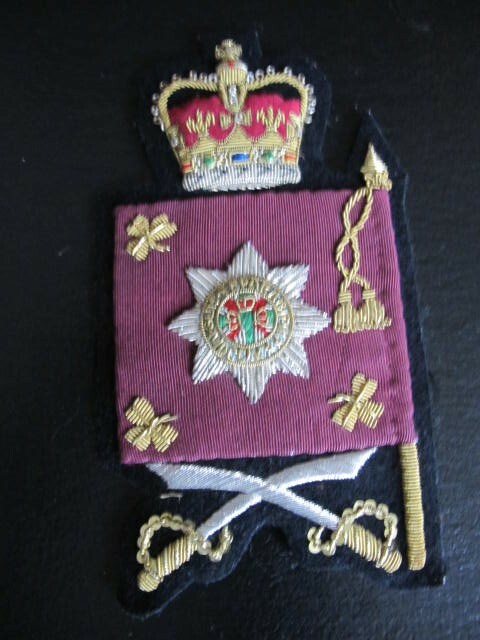 Post WWII Queens crown Irish Guards colour sergeants arm badge. Excellent condition. Gold wire construction. 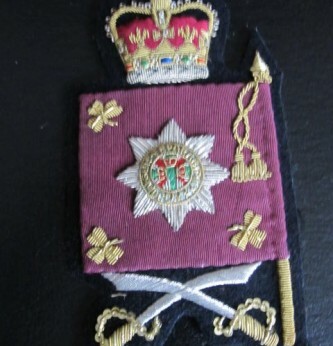 Uniform removed.